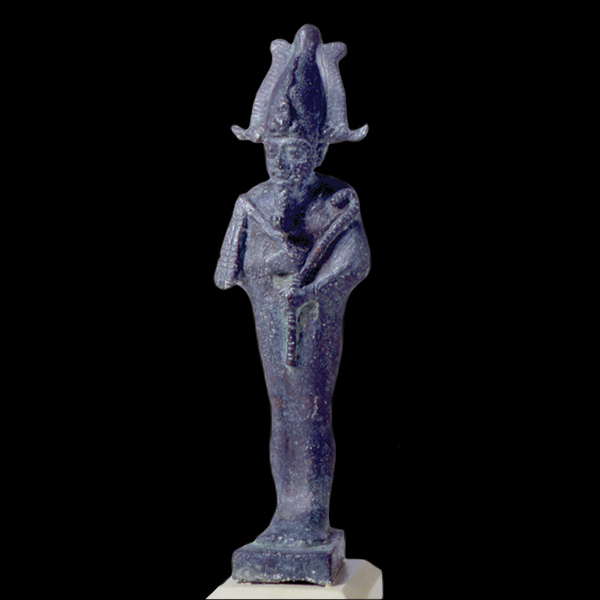 Osiris, god of the deceased, was the son and oldest child of Geb, the Earth deity and Nut, the sky goddess. His wife and sister was Isis, goddess of motherhood, magic, fertility, death, healing, and rebirth. It was said that Osiris and Isis were deeply in love with each other, even in the womb. In the New Kingdom, Osiris was considered the master of the underground world, the next world – the Afterlife. In the mythology, before becoming master of the Afterlife, Osiris ruled Egypt and taught agriculture and gave laws and civilization to humans. However, Osiris’s brother, Seth, was extremely jealous of him, so Seth killed Osiris and cut his body into pieces, which he distributed around Egypt. With Osiris dead, Seth became king of Egypt, with his sister Nepthys as his wife. Nepthys felt sorry for her sister, Isis, who wept endlessly over her lost husband. Isis, who had great magical powers, decided to find her husband and bring him back to life long enough so they could have a child together. With Nepthys, Isis roamed the country, collecting the pieces of her husband’s body, reassembling them, and holding them together with linen wrappings. Isis breathed the breath of life into his body and resurrected him. They were together again and soon afterwards Isis magically conceived a child – Horus. Osiris then descended into the underworld, where he became the lord of that domain.